Roshan Muhammed Salih is a documentary maker and writer. Previously he was with Press TV, Al Jazeera, Islam Channel and Granada. 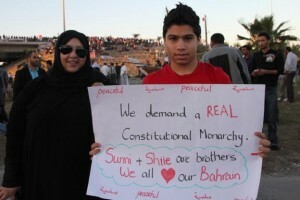 Nearly two years on from Bahrain's uprising, protests continue on a daily basis and human rights violations are rampant. Roshan Muhammed Salih argues the revolution has proven an inconvenient one not only for a complicit West but for the region's Sunnis too.